Dan Meyer taught high school math to students who didn’t like high school math. He has advocated for better math instruction on CNN, Good Morning America, Everyday with Rachel Ray, and TED.com. 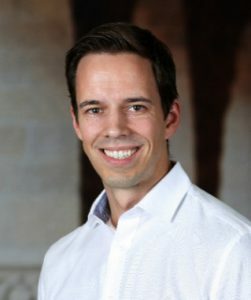 He earned his doctorate in math education from Stanford University and currently, as the Chief Academic Officer at Desmos, he explores the future of math, technology, and learning. He has worked in all fifty of the United States and internationally, including Canada. This visit to Manitoba, however, is his first! He was named one of Tech & Learning’s 30 Leaders of the Future. He lives in Oakland, California. Desmos Activities will help you build social and creative math classrooms. In those activities, students create representations of their mathematical thinking that go beyond multiple-choice responses. Students share those representations with their entire class, not just their teacher or laptop. Come experience a Desmos activity as a student, learn the teaching moves that contribute to its success, and get access to more free activities just like it. Participant limit: 600. Audience: Grades 5-12. If our students wrote down adjectives to describe math class, “surprising” might not make the top ten. And yet, surprise is an emotion that makes us interested, prepares us to learn, and prepares us to prove. We’ll experience mathematical surprise and discuss three recipes for creating surprise throughout K-12 mathematics. No participant limit. Audience: Grades K-12. Dr. Martha Koch is a professor at the University of Manitoba. She teaches B.Ed. and graduate courses in mathematics education, assessment, and research methodology and always has a few research projects on the go. In one project, she is exploring ways to support teachers of mathematics as they seek to enhance their classroom practice. In another project, she is working with mathematics educators to co-create a dynamic, web-based mathematics curriculum resource that makes the connections within school mathematics highly visible. She has published many journal articles and book chapters and frequently presents at international education research conferences. Martha also enjoys facilitating professional learning experiences with teachers, coaches, and school leaders. Fact fluency is an aspect of mathematics teaching and learning that gets a great deal of media attention. It’s also something that many parents worry about. Research suggests that flash cards, speed competitions and timed tests do more harm than good, but what are the alternatives? How should you address this part of the Manitoba curriculum in your early or middle years classroom? In this two-part session, we explore research-based strategies for learning and for assessing mental mathematics and estimation. You will leave with a deeper understanding of mental mathematics and a collection of theoretically grounded, highly engaging approaches to use in your classroom and to share with parents. Participant limit: 200. Audience: Grades K-8. Dr. Cathy Marks Krpan is a former classroom teacher and district education consultant. She is a professor at the Ontario Institute for Studies in Education where she teaches graduate courses in mathematics education. Cathy presents to educators, district leaders and parents across North America, Asia, and Europe on effective teaching and learning strategies in mathematics. An award-winning author and educator, Cathy has authored many publications including The Write Math , Math Expressions and the awarding-winning Math Readers. Her newest publication, Teaching Math with Meaning (Pearson Canada) explores practical ways to support teacher and student self-efficacy in mathematics through learning competencies. 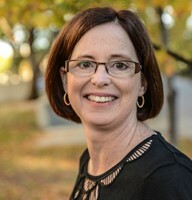 Cathy currently serves as an editor for the National Council of Teachers of Mathematics Journal Teaching Children Mathematics. Focusing on key learning competencies in mathematics is critical if we wish to strengthen mathematical literacy skills and assist our students in becoming effective life-long learners. Inviting students to explore activities that not only develop specific math skills, but also develop skill sets that go beyond the mathematics classroom, can help us to identify student misconceptions and gain a deeper insight into our students’ learning! In this hands-on session, participants will explore many easy-to-implement strategies such as mathematical argumentation, concept circles, and math think-alouds. These activities enhance thinking skills and empower students to effectively communicate their mathematical ideas. These strategies also render mathematical thinking accessible for everyone. You will leave with a set of teaching ideas you can implement with your all students immediately! Participant limit: 100. Audience: Grades K-6. ngs, wonderings, and reflections in mathematics pedagogy and effective uses of technology by delivering workshops across North America and blogging on www.tapintoteenminds.com, www.mathisvisual.com and @MathletePearce on Twitter. Wondering how to create a classroom culture where students don’t want to stop exploring mathematics when the bell rings? In the first half of this two-part workshop, you will be introduced to the Making Math Moments Matter 3-part framework for building easy to plan and fun to deliver lessons that kids will not only love, but also learn from! Get ready to learn why the 3-part framework should be your go-to strategy for planning and developing your math lessons and how you can apply it to any concept and at any grade level regardless of student readiness as we embark on a step-by-step lesson walk through together. During the workshop’s second half, we will walk through another practical example of how to apply the 3-part framework in your classroom and what big mistakes to avoid when planning problem based lessons. Devon Caldwell is a kindergarten teacher at Oak Lake Community School in Fort La Bosse School Division. 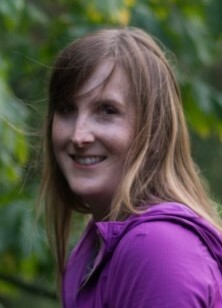 In September 2017, she began PhD studies in curriculum and instruction with a focus on early childhood education at University of Victoria. In 2009, Devon graduated from Brandon University with a Master of Education degree in Special Education. 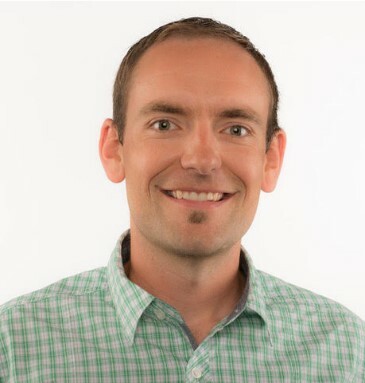 Devon is passionate about technology-infused project and inquiry-based learning to foster collaboration, inclusion, and innovation among students, teachers, and their local and global communities. 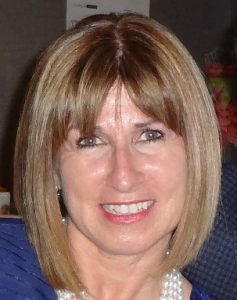 Honours include designation as a Microsoft Innovative Expert Fellow, Canadian Prime Minister’s Award for Teaching Excellence, Early Years Teaching Excellence Award from her school division, and ManACE Educator of the Year Award. Recently, Devon worked with a Provincial team to revitalize the Kindergarten support document, A Time for Learning, A Time for Joy. Devon is an enthusiastic contributor to online professional learning communities and loves mentoring educators and pre-service teachers. Follow Devon on Twitter @india0309 and explore her blogs at Kindergarten Diva and Connecting Classrooms to learn more! Are you interested in implementing inquiry or project-based learning in your early years classroom but you’re not sure how to begin? Are you curious as to how these interdisciplinary approaches can help children explore and achieve important numeracy outcomes? Join experienced early years teacher Devon Caldwell to learn more about why these alternative pedagogical approaches are well-suited to early years teaching and how to get started quickly and easily. In this dynamic session, you will have the opportunity to examine the different ways important numeracy skills are developed as children investigate their own questions and local/global issues. Devon will share teaching and management ideas, sample projects, timely tips for infusing and teaching numeracy, and technology tools to support inquiry and project-based learning. You can count on gaining techniques for enhancing student engagement and guiding authentic numeracy learning! Early years classrooms are busy places with increasing teaching, assessment, and reporting demands. How can teachers provide engaging, developmentally appropriate, and authentic programs while managing a multitude of other requirements? The secret lies in what you do every day. In this practical session, early years teacher and PhD student Devon Caldwell shares her tried and tested tips for infusing and assessing numeracy throughout the school day. Learn more about how Devon makes math learning part of play, discovery learning, and classroom routines and procedures. Bring your questions and ideas for sharing in this fun and interactive session! Participant limit: 200. Audience: Grades K-3. 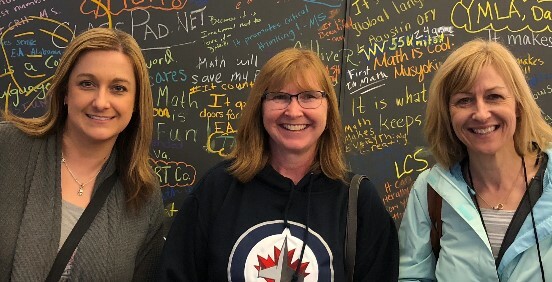 Heather, Dayna, and Lisa are a team of Numeracy Coaches in the St. James-Assiniboia School Division. They have over 70 years combined classroom teaching experience! They work collaboratively alongside teachers in Kindergarten through Grade 8 classrooms. Their goal is to empower students and teachers to become confident mathematicians. They believe in creating learning environments for children that engage and support mathematical curiosity and creativity while developing strong reasoning and critical thinking skills. Making mathematics more engaging and meaningful for students is essential in math education. This session, designed for Grades K-5, presents suggestions for facilitating mathematical discourse to develop student numerical reasoning and proficiency, and empower students to be inventors of mathematical ideas. Come learn techniques to facilitate whole class mathematics discussions that develop robust reasoning and the capacity to argue mathematically. We will also explore strategies to engage in sense making of language-rich math problems or tasks that deepen students’ understanding rather than rapidly trying to solve them. Online registration will begin September 1, 2018 and will remain open until end of PD Day, October 19th. Online payment is through PayPal. Participants are strongly encouraged to register for the conference online. Onsite registration will be limited. When registering, you are required to choose the morning sessions you wish to attend. Sessions are open to all participants on a first-come-first-serve basis. All participants are expected to attend the afternoon plenary session. The participant limits listed for each session are subject to change. If there appears to be a high demand for a session with a lower limit and not so much for one with a higher limit, the limits may be adjusted. 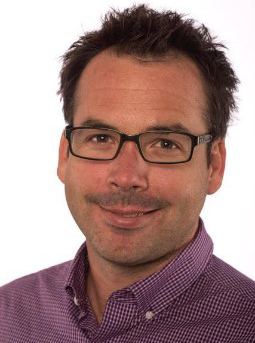 Dan Meyer’s morning and afternoon sessions will be in the Club Regent Casino Event Centre. All other sessions will be in the adjacent Club Regent Canad Inn Hotel. Parking will be available in the Club Regent Casino Parkade. Exhibitor/publisher displays will be in the Canad Inn Hotel, in the same area where the sessions will be held.